Christmas is here on CopsRP which means there are a few special features available to players during this period. 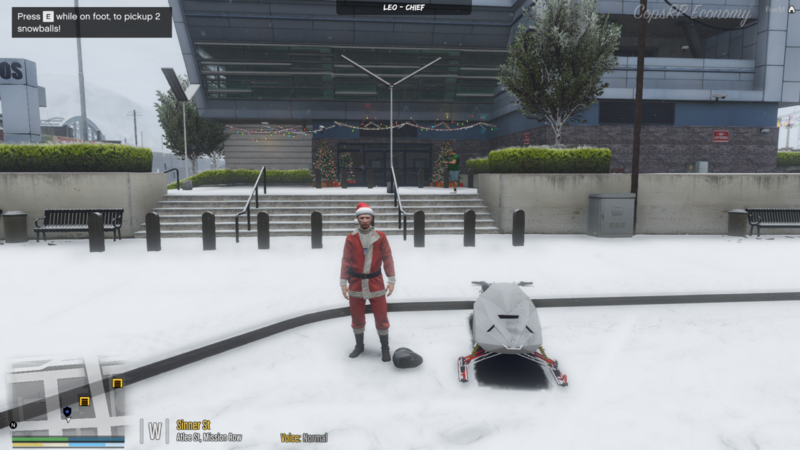 To get people in the christmas period we have decorated the city and POI’s, Snow has blanketed the city making it possible to pick up snowballs. since it is snowy around the city a new rental company has opened up near the airport that is renting snow mobiles at reasonable prices if you’d like to try them out go check out there store. These changes will available for your enjoyment all month. Most Weapons have been made single shot and also have a safety feature this feature is subject to change in the future but has been put in place to make weapon use more realistic. press K when weapon is out to put safety on. this key is subject to change soon this keybind currently conflicts with the wallet system. 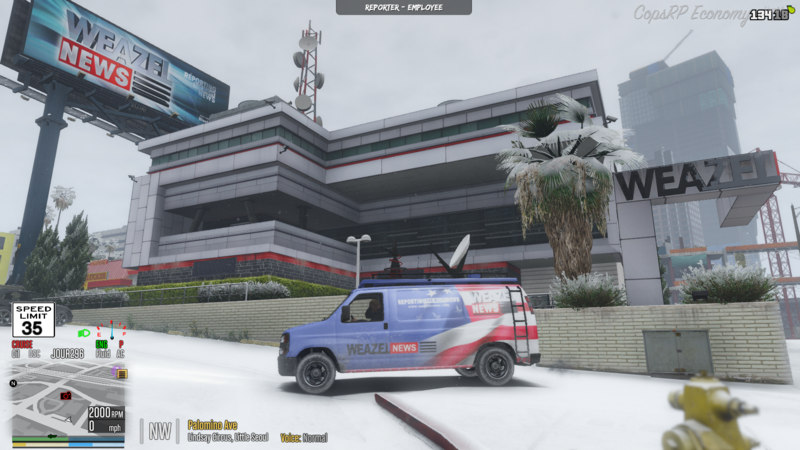 The weazel news reporter job has also been changed to the weazel news offices where you can get the custom bravado news van available and you can also do /cam so you can make legit looking news storeys also don’t forget /mic if you are the reporter conducting interviews.